Working in a windowless basement alongside David Byttow, Chrys Bader-Wechseler didn’t realize someday they’d form a $100 million startup together. But that was exactly what the co-founders of Secret did. 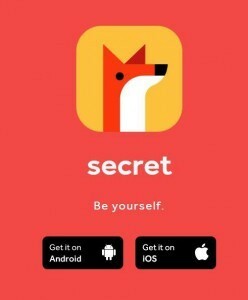 Together, the two co-founded Secret, an app that allows its users to see anonymous items posted by people nearby. Like any entrepreneur, however, Bader-Wechseler’s path from basement-dwelling developer to startup co-founder was not an overnight one. Through various missteps, as well as a few great choices, he was able to gain the experience he needed to launch a successful application. Prior to founding Secret, Bader-Wechseler and Byttow co-founded TwitVid, a service that allowed Twitter users to post videos. TwitVid launched in 2009 as TwitVid.io, since its founders couldn’t afford the $50,000 necessary to buy TwitVid.com. Unfortunately, someone else could and an identical, competing site launched, attracting users over. The site rebranded itself as Vid.ly and had some success as an app. Through this experience, Bader-Wechseler learned that resources make a big difference when forming a startup. Leaving the .com open enabled someone else to sweep in and purchase it, then lure customers away. He learned the importance of ensuring you have all the resources you need during the funding cycle. When you have the finances in place at the outset, you’ll position yourself to take advantage of many opportunities. For the @secretly #entrepreneurs experiencing failure was the key to finding #business #success! From a young age, Bader-Wechseler had an interest in technology, doing amateur programming to expand the capabilities of the video games he enjoyed playing. Through the help of a mentor, he was able to learn how to program. Since that early mentorship experience, however, he’s learned mentors can not only be those with years of experience, but those who are peers, as well. 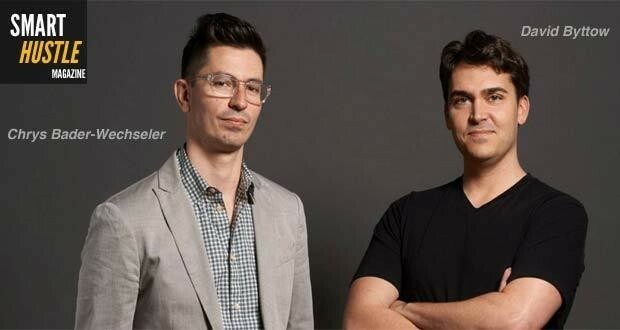 When starting TwitVid, Bader-Wechseler were chosen to participate in Y Combinator, an accelerator that allows entrepreneurs to gain the support they need. While Y Combinator is one of the most successful accelerators, entrepreneurs can benefit from programs in their own area geared toward helping small businesses succeed. The peer mentorship and networking opportunities available through these services create a great foundation on which to build your business. The idea for Secret began when Bader-Wechseler glimpsed an app Byttow was building called Whisperly, which delivered anonymous “whispers” to a person’s inbox. Bader-Wechseler was intrigued by the idea of being able to read a message from someone nearby without knowing the identity of the sender. Along with Byttow, he worked to flesh out the app but he found that the more they worked on the app, the more it continued to evolve. Through learning what versions of Whisperly didn’t work, Bader-Wechseler and Byttow were eventually able to arrive at a design that appealed to a larger user base. When it came time to launch Secret, Bader-Wechseler believed it was extremely important to employ user testing to get feedback on the app. Bader-Wechseler’s approach was a simple one: he placed an add on Craigslist offering $40 for 30 minutes of someone’s time. After his inbox became flooded with emails, Bader-Wechseler found good candidates by requesting to see their Facebook profiles, then choosing a cross-section of users spanning various ages and interest levels. By setting up a user training program, your startup gets objective insight into how end users perceive an application, product, or service. For best results, survey a wide range of users and try to spot trends among the answers. If one person says an aspect of a product isn’t easy to use, it might be worth looking into. If 30 users mention it, it probably should be tweaked before you proceed to the next step. Any startup must strike a balance between getting the feedback it needs and keeping its plans under wraps. While Bader-Wechseler tried to safeguard Secret as much as possible during development, he estimates that approximately 150 beta users working with his team while it was being perfected. Since launch, however, Bader-Wechseler has seen multiple competitor apps emerge on the scene. He has found after launch, it’s essential to keep his next steps concealed to retain his competitive advantage. The fact that companies are likely waiting on the sidelines, eager to launch a copycat of your idea makes it essential that you put non-disclosure agreements in place at each step of your development process. For startups of all sizes, at all levels, learning from the mistakes other entrepreneurs have made can speed things along. If there’s one lesson entrepreneurs like Bader-Wechseler can teach, however, it’s that failures are only temporary. Best of all, they usually give us the experience we need to find success.